Clients receive on-campus training in functional living skills and are involved in community integration. 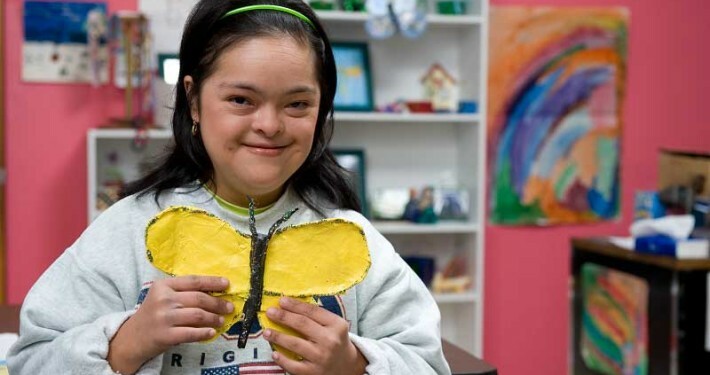 Clients participate in activities and receive life skills in a residential setting. Clients live on their own or in small family-like settings. 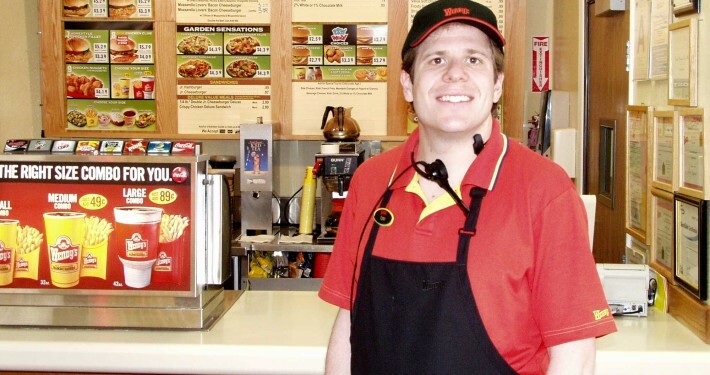 Clients transition from Supported Employment into jobs working in the community. 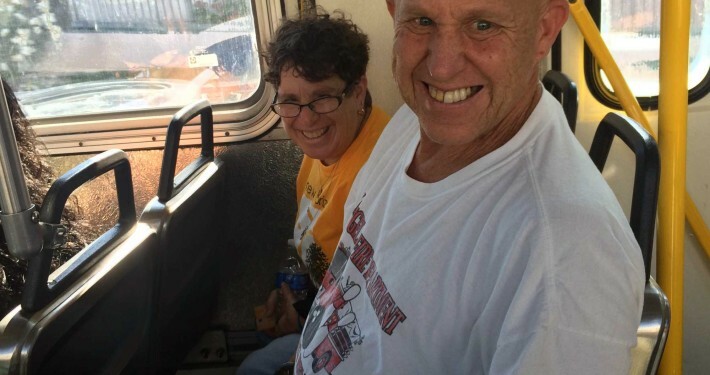 Funded by Metro, provides FREE training on how to ride public transportation. Clients work for competitive paying jobs at local community businesses. Give a gift today for a brighter future tomorrow. Click here for the many ways you can join us to empower adults with special needs to achieve their dreams. Order our delicious fresh-baked cookies for any occasion! They are a great treat for your family and make wonderful gifts. 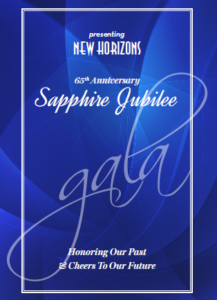 New Horizons thanks our guests, sponsors, and donors for making our 65th Anniversary, Sapphire Jubilee Gala such a wonderful event! 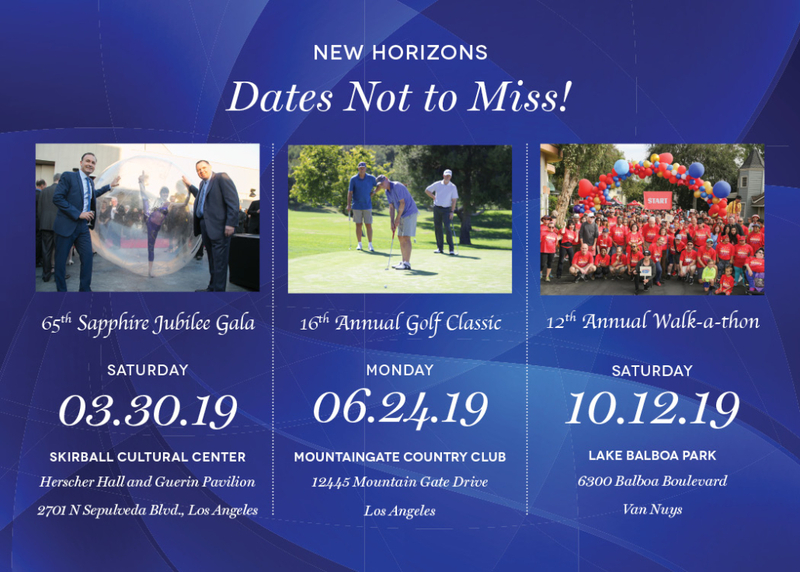 Golf Classic and Walk On The Horizon! Volunteers are valued at New Horizons for their involvement and support of our clients, programs, and agency. We invite you to join us. 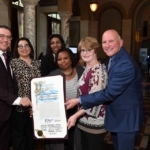 New Horizons has been recognized by the Department of Developmental Services as one of the most successful providers in Los Angeles County in finding jobs for people with special needs. 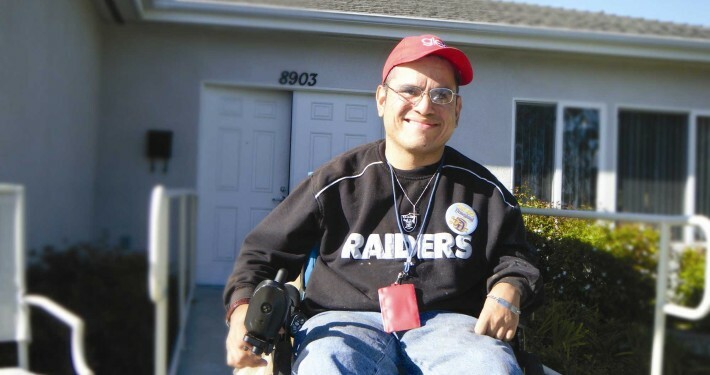 Our residential programs are renowned for their skilled and compassionate care-giving staff who, working diligently every day, providing personalized instruction on activities essential to daily living. 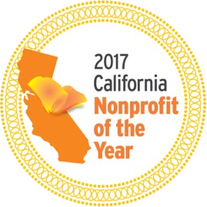 New Horizons provides programs that give our participants the opportunity to learn self-advocacy and explore creative self-expression, educational activities, and cultural events. Free Travel Training Events scheduled! Don't miss them! New Horizons salutes our employers!